I’ve just passed through a busy fortnight and there’s no clear end in sight on the work front. Long hours, late nights, and it’ll keep going ’til Christmas! I’m beyond thankful for this rest day as I sit in solitude here in my flat. 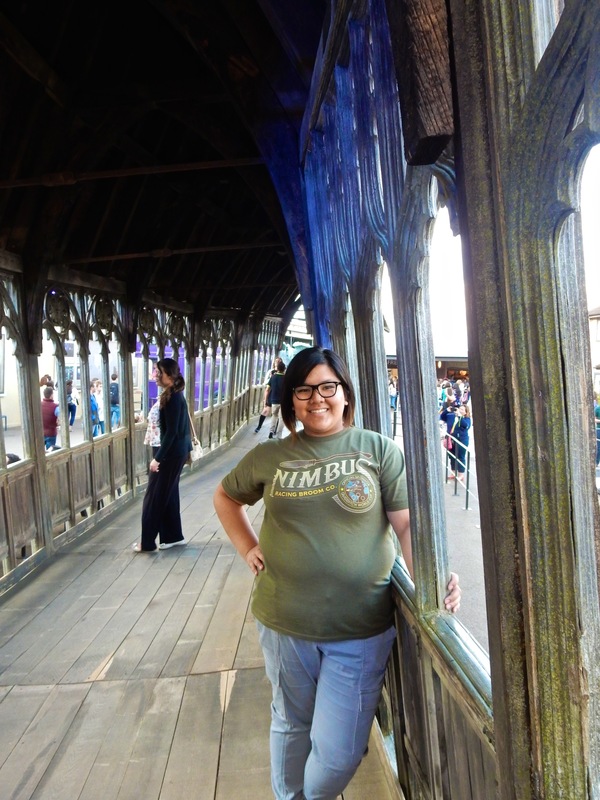 Today’s post will be a nice distraction, however, as I take you on a ride that stretches from Notting Hill to my alma mater, Hogwarts. 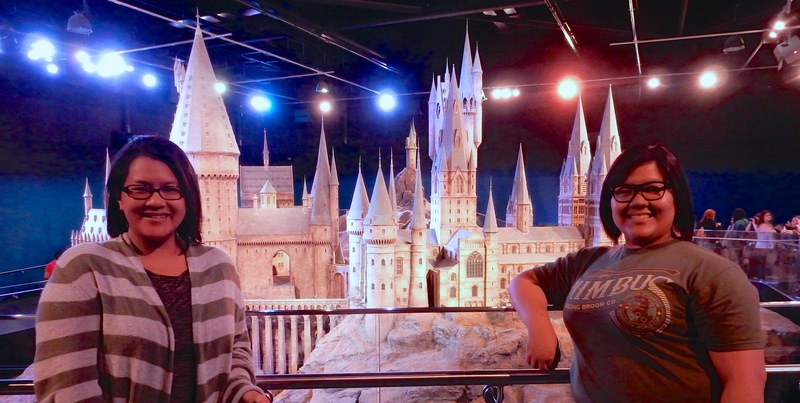 The sestra and I, and the gorgeous scale model of Hogwarts, used for aerials and the like. Something wicked (and amazing and fun and incredibly memorable) this way comes! The early Saturday morning post-breakfast had the sestra and I making our way to the tube and towards Notting Hill Gate. Saturday morning was no less busy than any other work day, and I’ve got to say, I’m pretty sure every hour feels like rush hour on the tube! Even still, the trip was an easy one, and we soon found ourselves walking down the street along with hundreds and hundreds of others towards Portobello Road Market. 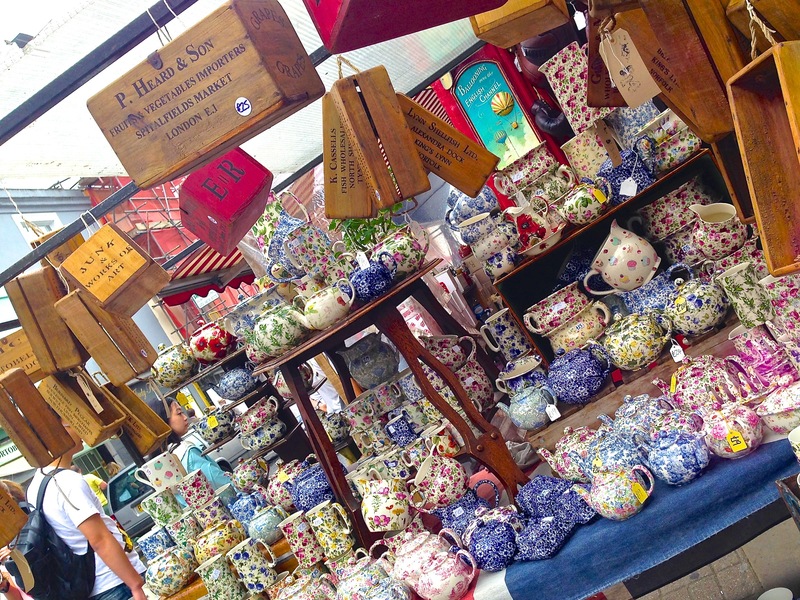 Teapots or mail crates, anyone? This single photo gives you enough of an idea of just how haphazard and overflowing the streets are! I elected not to take too many; the crowds increasing meant I chose to keep my valuables zipped up and against my front as the chances of pickpocketing increased. I couldn’t leave the market without getting at least one thing for myself. I fortunately found this kind gentleman and his little stall of old, old books. Many were from the turn of the century and pre-war. As I looked over J.M. Barrie and very nearly bought some Conan Doyle, my gaze fell upon this 1930 edition of Mrs. Beeton… and I knew I absolutely could not say no. She’s mine now, proudly on display (and juxtaposed) with my Modernist Cuisine books. A successful purchase! Two things of note: the road sign and my Nimbus Broom Company shirt. From here, we made our way towards the Museum of Brands, Packaging & Advertising – a fascinating glimpse into our past by way of propaganda and imagery in (mostly) household products. It was amazing to see brands like Colman’s mustard or Vimto or Toblerone and their packaging from decades ago and how much or… how little it’s changed. The museum moves in chronological order starting with the Victorian era, and the items on display are amazingly well preserved. 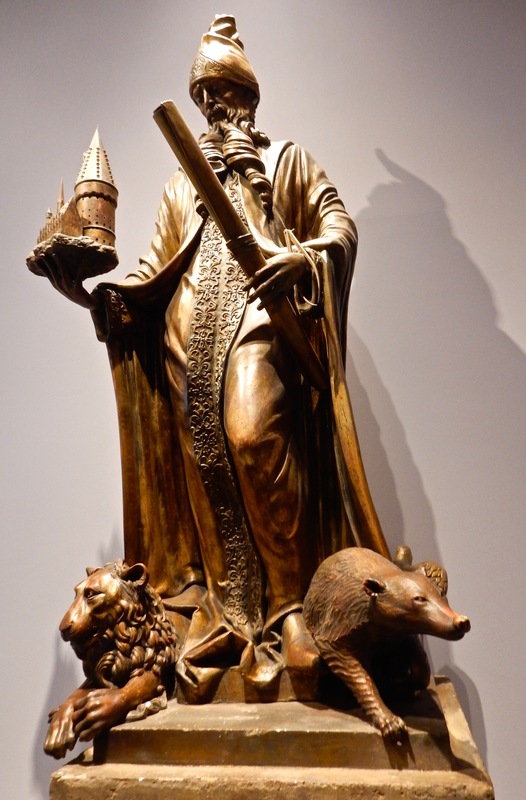 A small little gem, this museum was, and our admission inside was included in our London Pass. 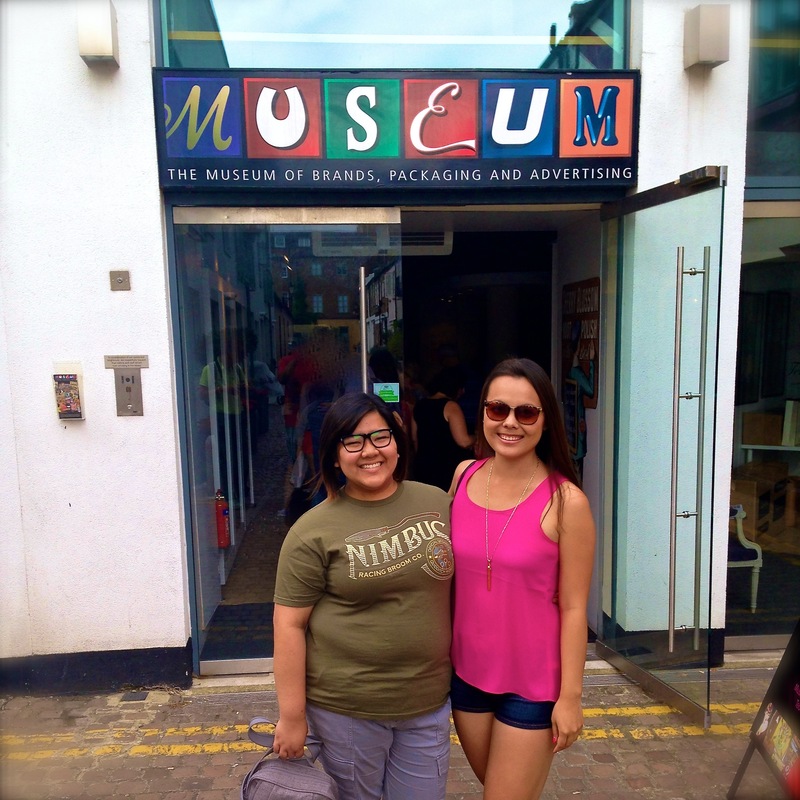 It was also here at the museum that we finally met up with KARRIE! Since we first met nearly a decade ago, Karrie had I have dreamt wistfully of being able to go to Europe together, with London being central in our ramblings. When it worked out that our vacations would overlap, she and I jumped at the opportunity. 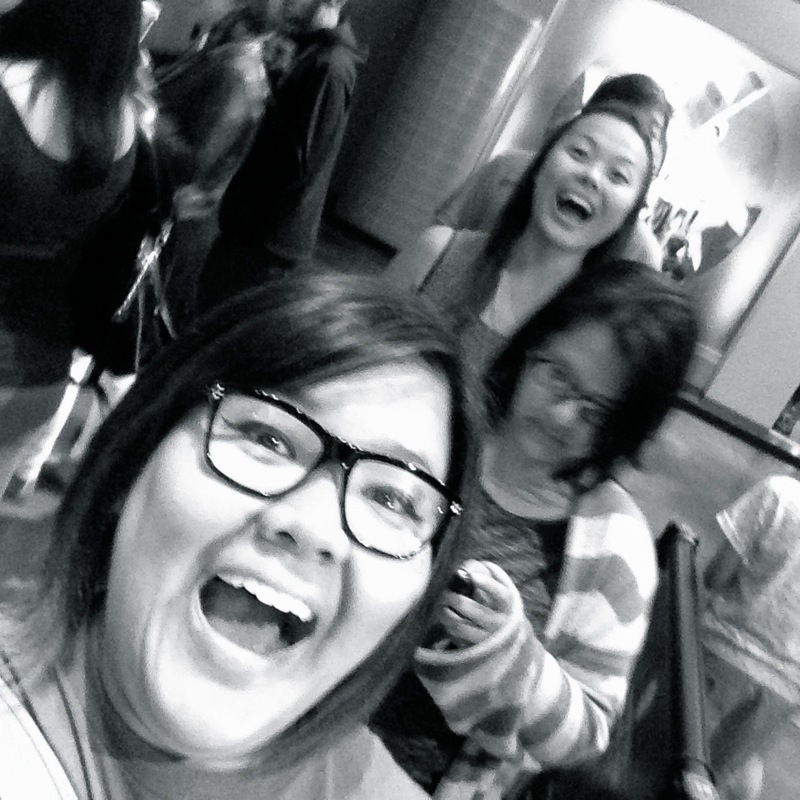 This was their last day in Europe before flying back to Canada, so having it come true was just… freaking awesome. 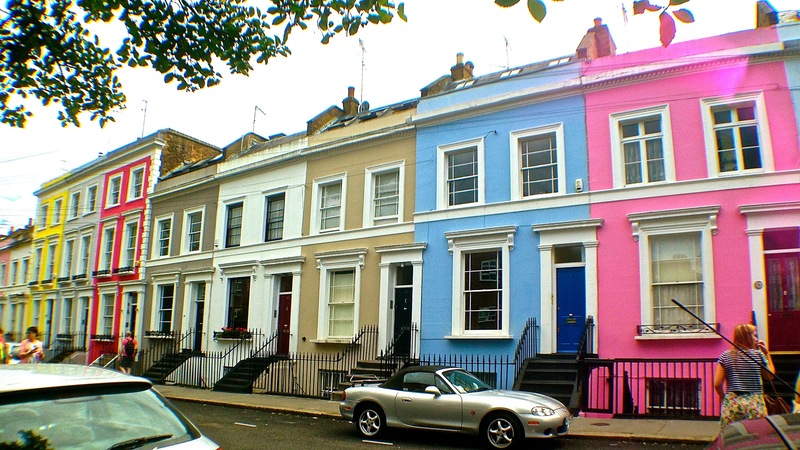 The famous coloured homes in Notting Hill. We took a brief trip to King’s Cross station (which has been extensively reno-ed and beautified since my last visit in 2008). Back then, Platform 9 3/4 was just a random wall anyone could approach. WB, of course, has since capitalized on it and turned it into an attraction. There’s a store next to it now, filled with HP swag, and there was a controlled lineup with probably 100 people in line to approach and get a photo taken. It’s now manned by employees who put a scarf on you, dramatically let it fly in the air while a “professional” photo of you pretending to push through the platform can be taken, and naturally, that costs £££ and must be picked up in the store adjacent. We left King’s Cross with no photos, but with some delicious pasties for lunch. So you know. At least there’s that. it seemed fitting that our next destination was where we would spend the majority of our day… and I thought it was a pretty amazing midway point for our trip and a sweet way for Karr, Kelvin, and Papa Kwongsie (dear Jesus, I’ve never called him that before nor will I ever to his face) to end their trip. 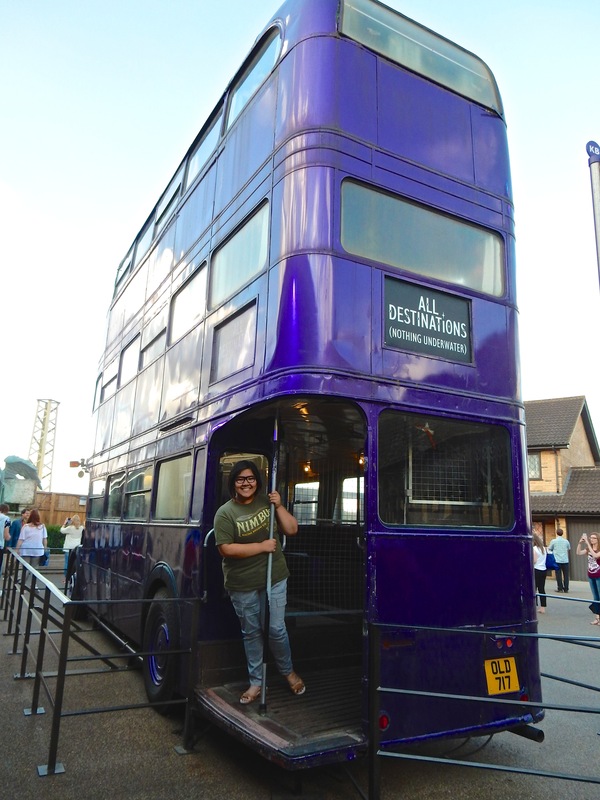 This sweet doubledecker was our ride to the WB Studio Tour. The Warner Bros. 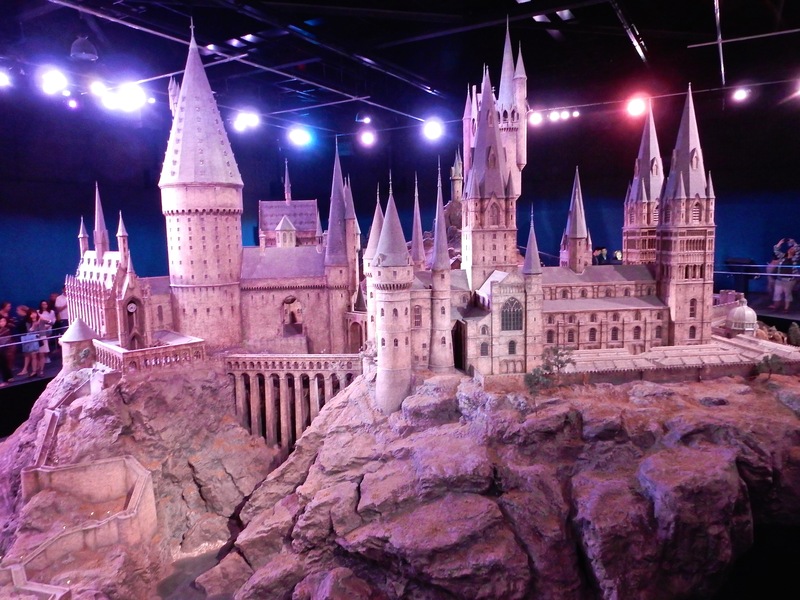 Studio Tour, aka Leavesden Studios, aka The Making of Harry Potter is the ultimate immersive Harry Potter experience. WWoHP in Orlando’s Universal Studios has a unique edge thanks to the Hogwarts on a hill (whose illusion makes it look far bigger than it is) and the interactive nature of the space, but if you’re a fan of the books and films, the studio tour is all about immersing yourself in sets, props, and just… so much more. For the most part, I’m going to let the photos speak for themselves on this one! 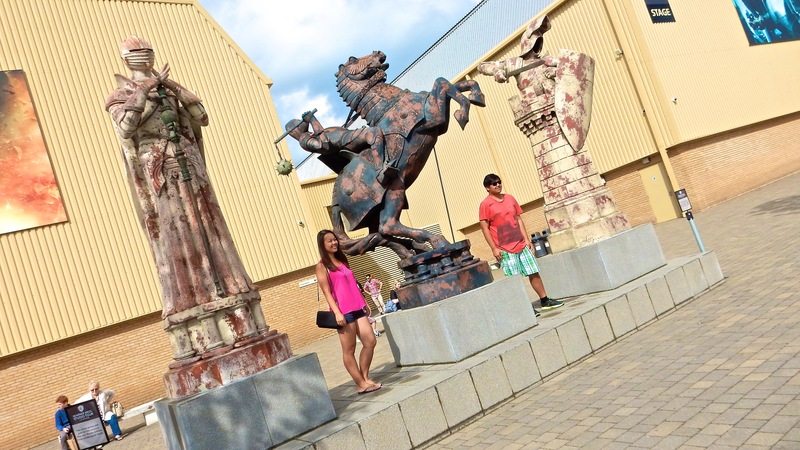 Karrie and Kelvin with the giant chess pieces from Philosopher’s Stone. Standing in line for our timed-ticket entry to the tour. We’re so excited and we just can’t hide it! I won’t spoil how it begins when you first enter the tour – that’s something to be experienced! 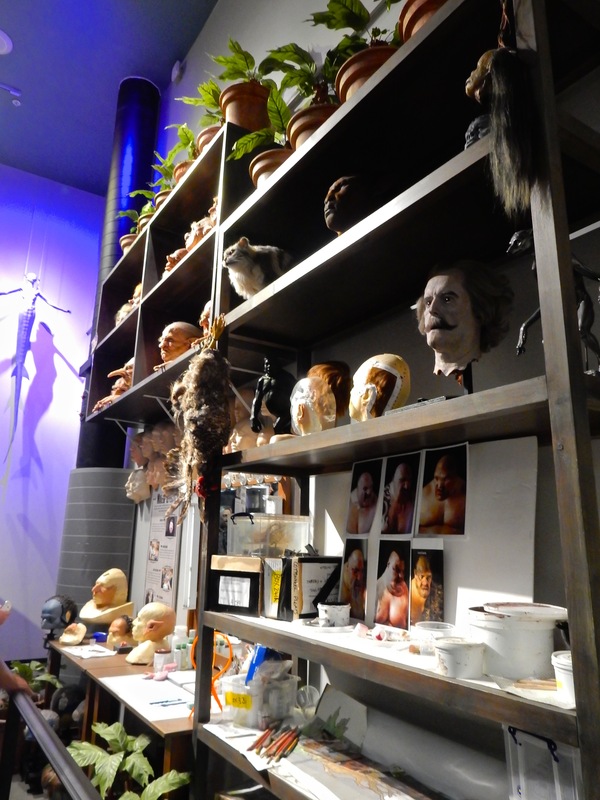 But here are some highlights from our tour of the sprawling studio space. 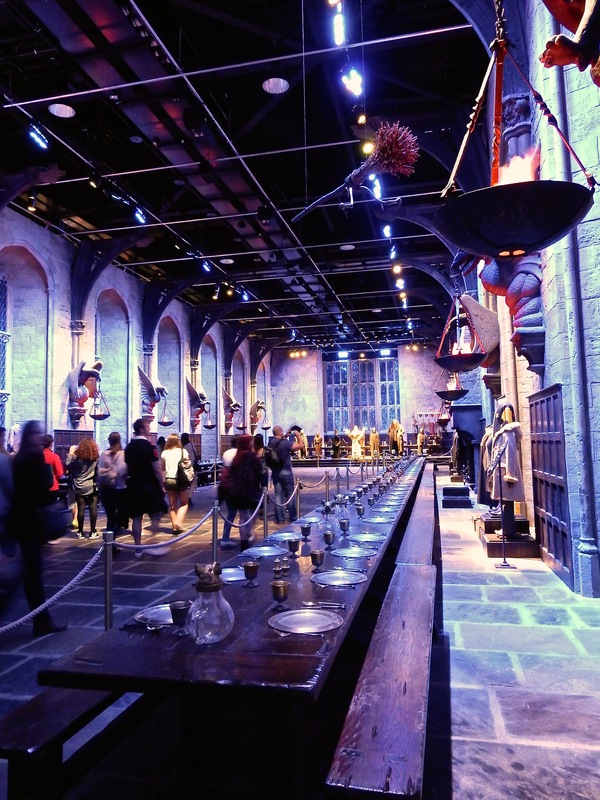 Welcome to The Great Hall. 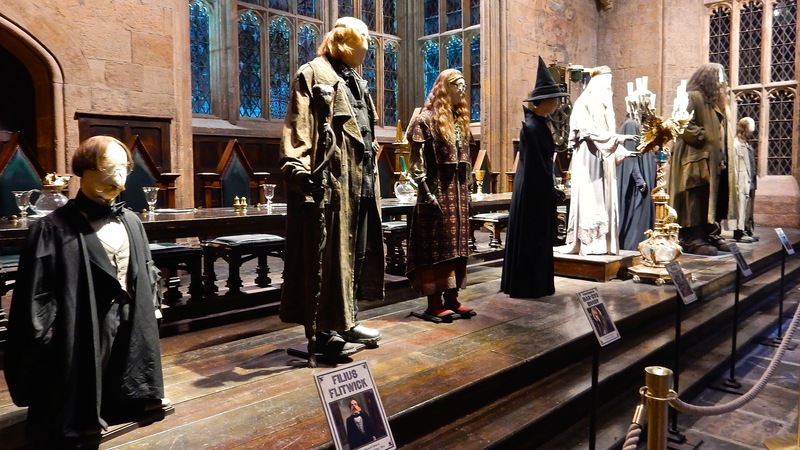 Some professors’ costumes – Flitwick, Moody, Trelawney, McGonagall, Dumbledore, Snape, Hagrid, and… well… Filch. 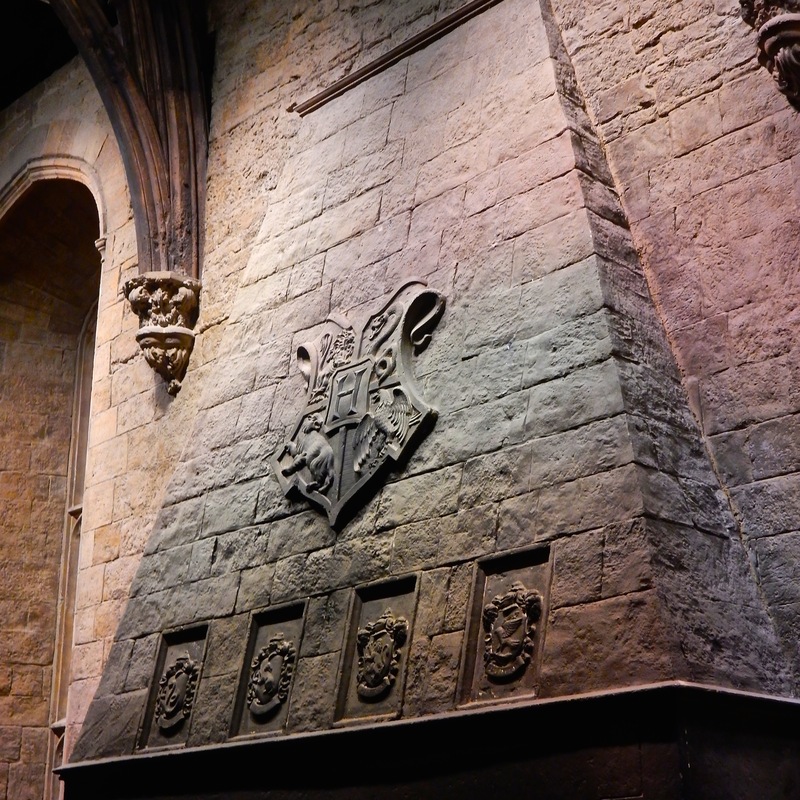 The school crest and house crests over the fireplace in the Hall. Standing in my alma mater’s Great Hall. 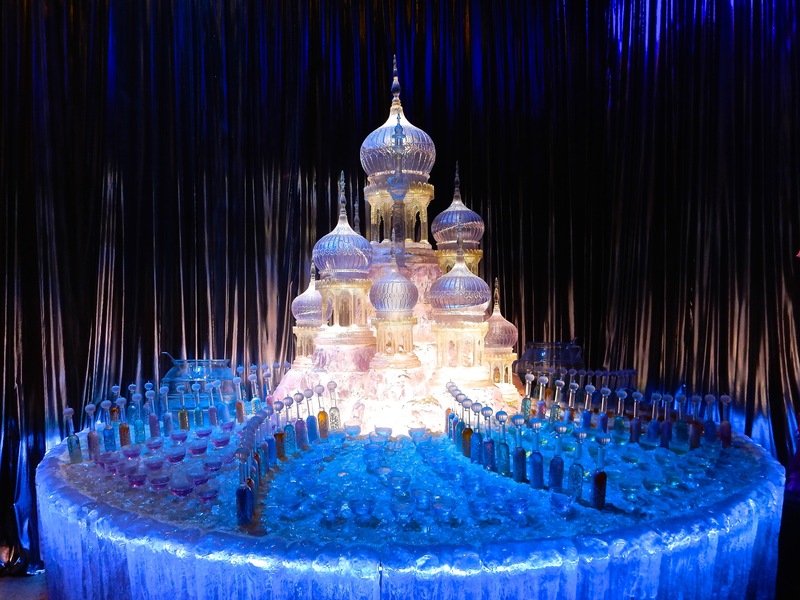 Yule Ball ice sculpture! It’s… not made of ice, I’m afraid. 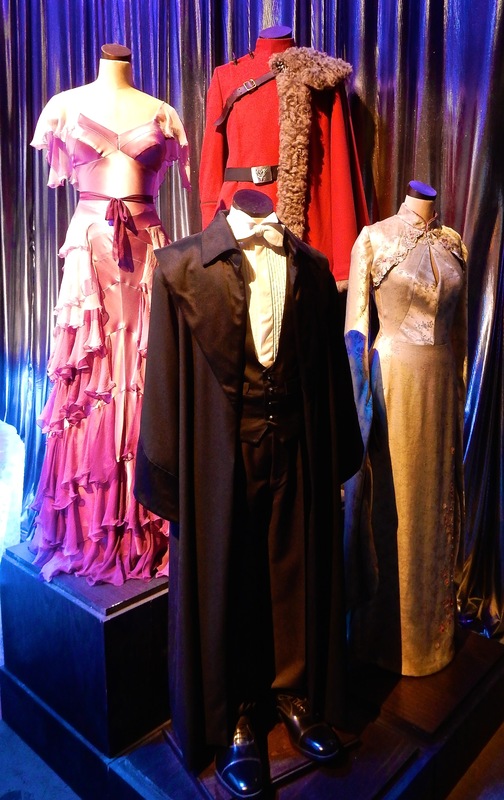 Costumes belonging to Emma Watson, Stan Ianevski, Katie Leung and Dan Radcliffe for the Yule Ball. CHOCOLATE BUFFET! 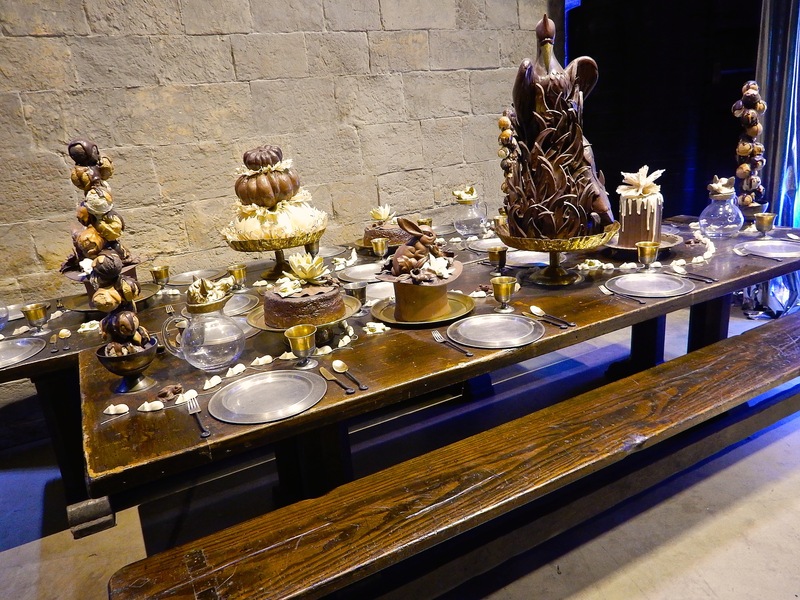 Some of these are actually real chocolate that’s just been preserved! 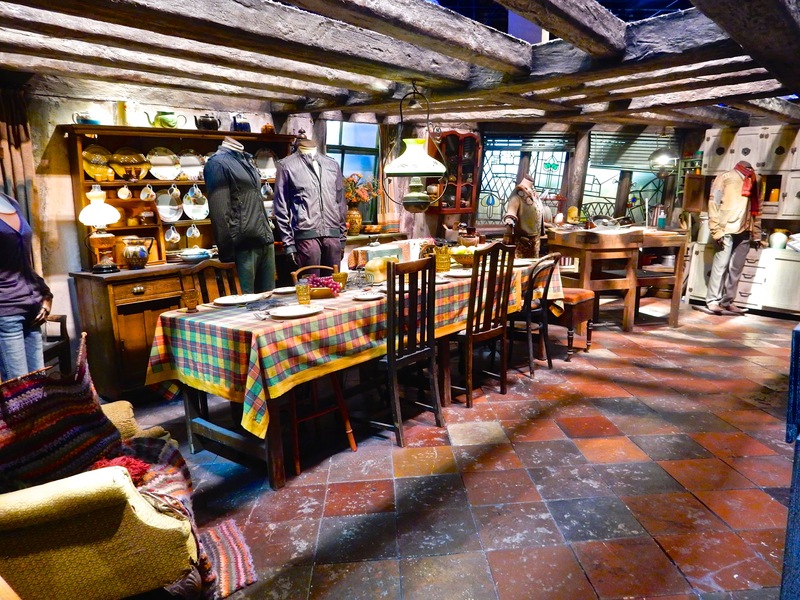 The Weasley family dining room. 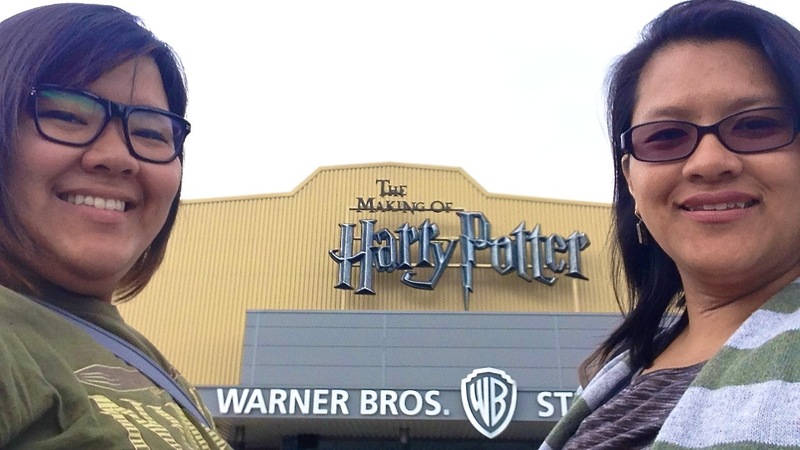 At the studio, there’s an opportunity to experience some VFX magic and ride a broomstick yourself! 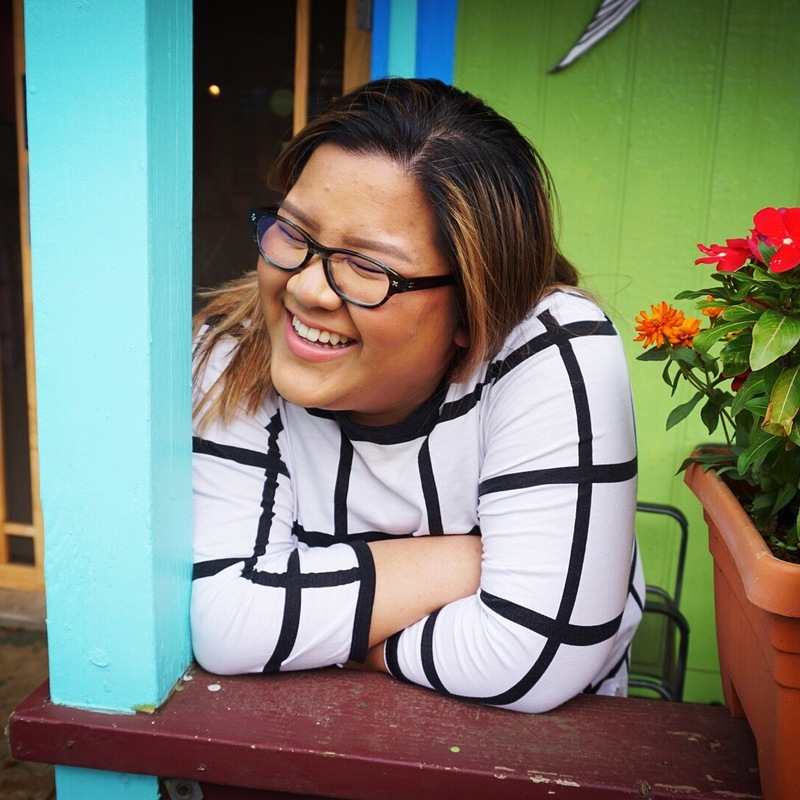 I (literally) jumped on the chance… the result is pretty darn amusing indeed. 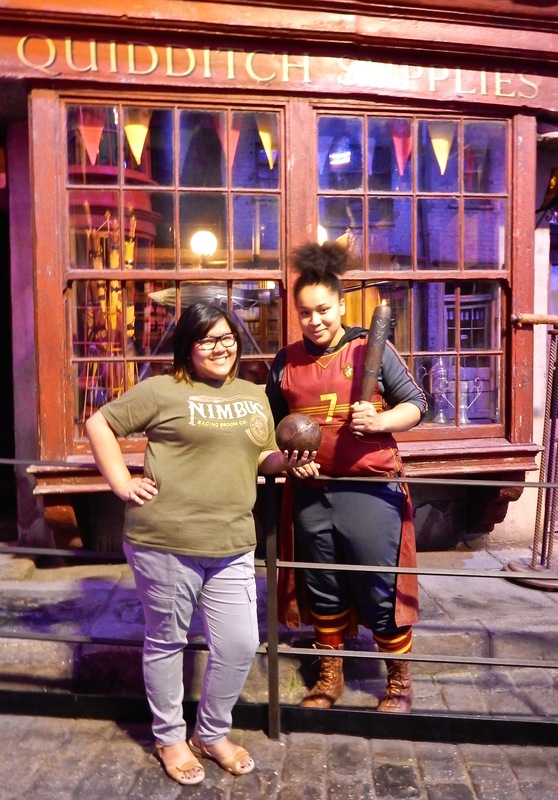 I got to represent my Hufflepuff colours and ride a broom whilst wearing my Nimbus shirt. Awesome? Yes, I think so. 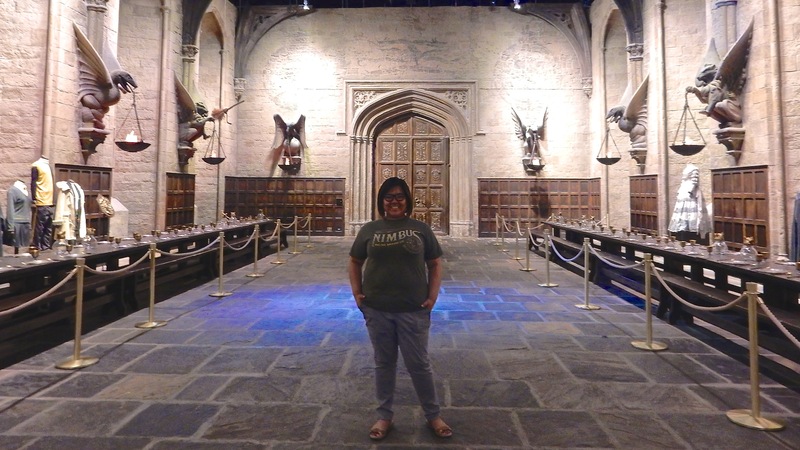 Once you complete your tour inside (which features everything from the Magic is Might monument of oppression to Umbridge’s office to the potions classroom at Hogwarts), your next stop is several outdoor stops – quite possibly my favourite stop in the whole tour! 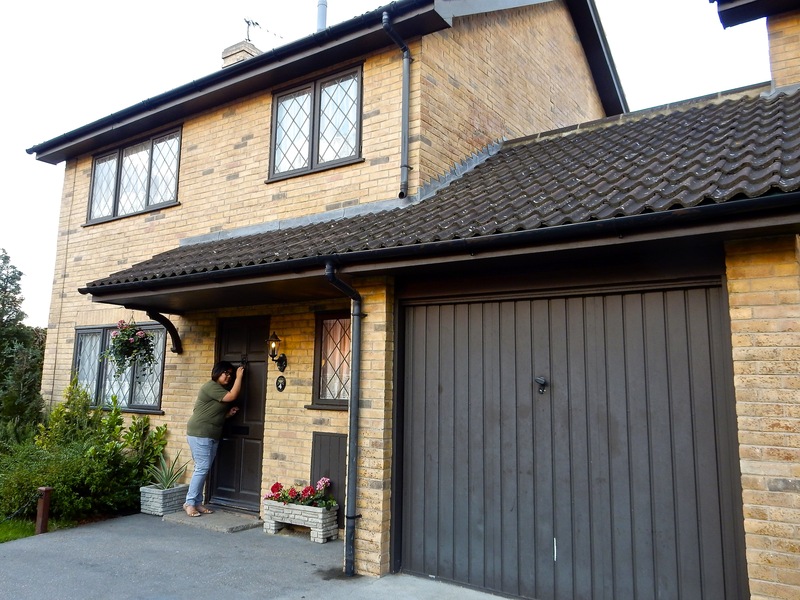 4 Privet Drive. Knock knock! The Hogwarts Bridge, where Neville Longbottom makes his badass stand in DH2. Another shot on the bridge. 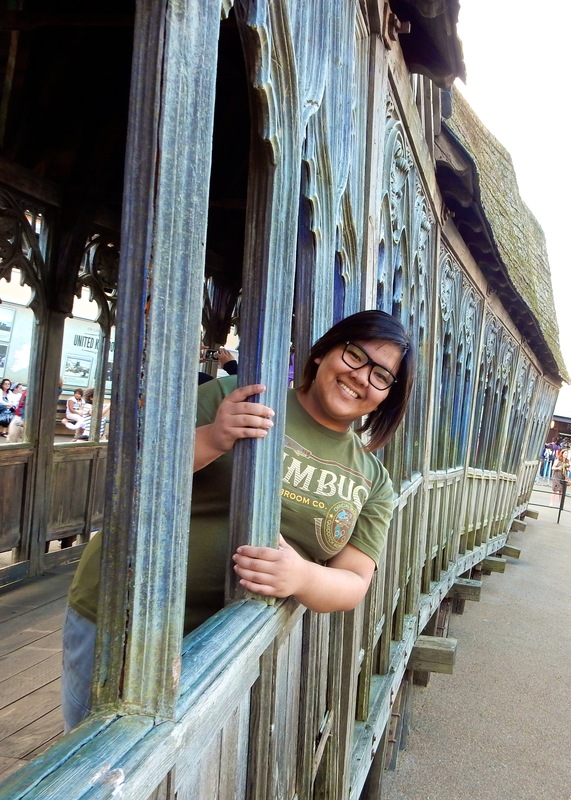 Out here is also your chance to have a glass of delectable Butterbeer (either regular or iced, like a 7-11 slurpee), one of the few places in the world you can have one at. Once you’re done taking your sweet time out here (and I’m thankful it wasn’t raining), you enter another building, where you’re greeted by animatronics and SFX galore. Basilisk head, Aragog, and other creepy crawlies were everywhere. Nearly Headless Nick, goblins, mandrakes. 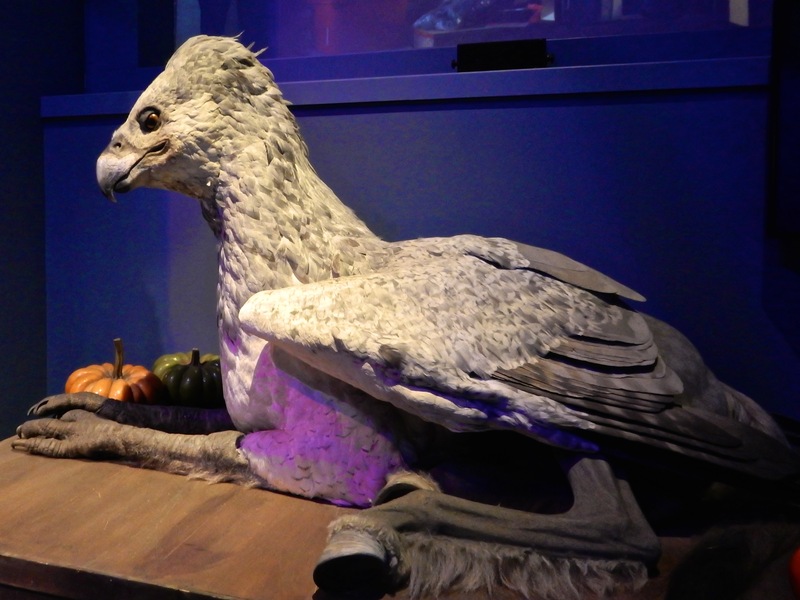 Buckbeak! This gorgeous beast was blinking and moving. 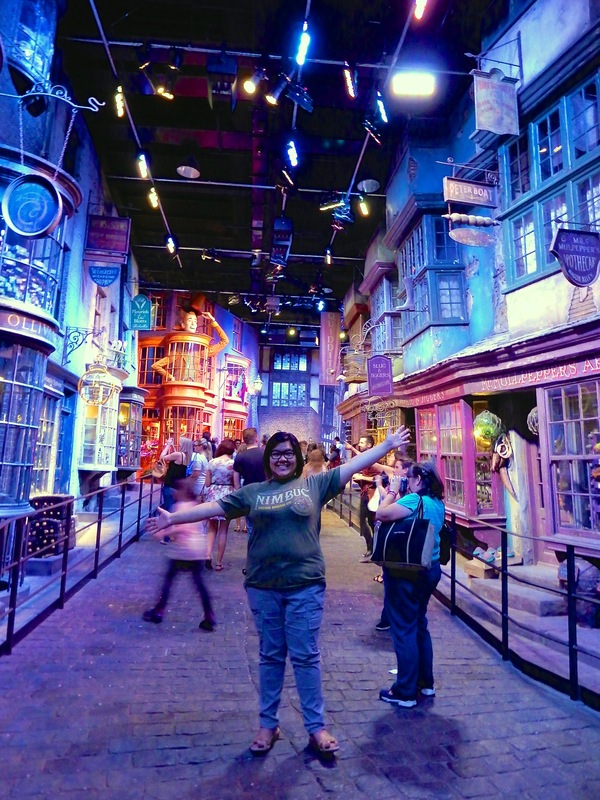 When you turn a corner you suddenly find yourself in Diagon Alley! I even got a sweet photo with this lovely Beater. She thought my shirt was awesome. 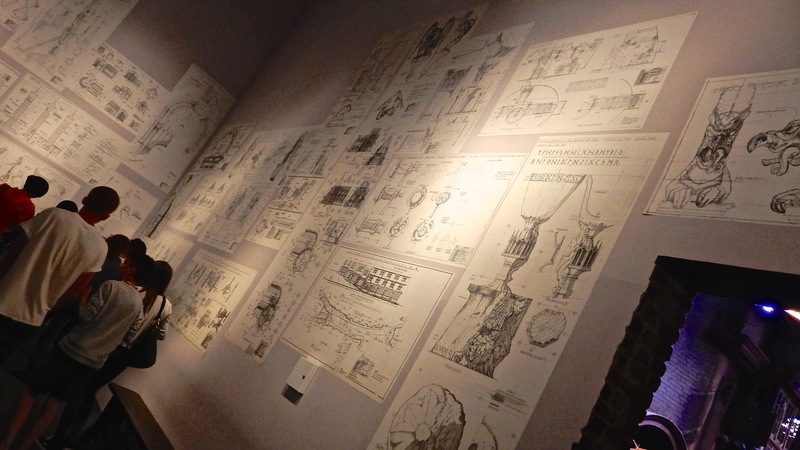 One of the final rooms was filled with blueprints and artists’ renderings covering all the walls. And after a final turn around a corner… it’s revealed. I was bowled over and started laugh-crying when it came into view. You can see just how enormous it is — in the wintertime, they even dress this up with snow! After a jaunt in the shop (where I spent a good amount of both time and money), we found ourselves back on the bus to Victoria Station, with the sun setting in the distance. 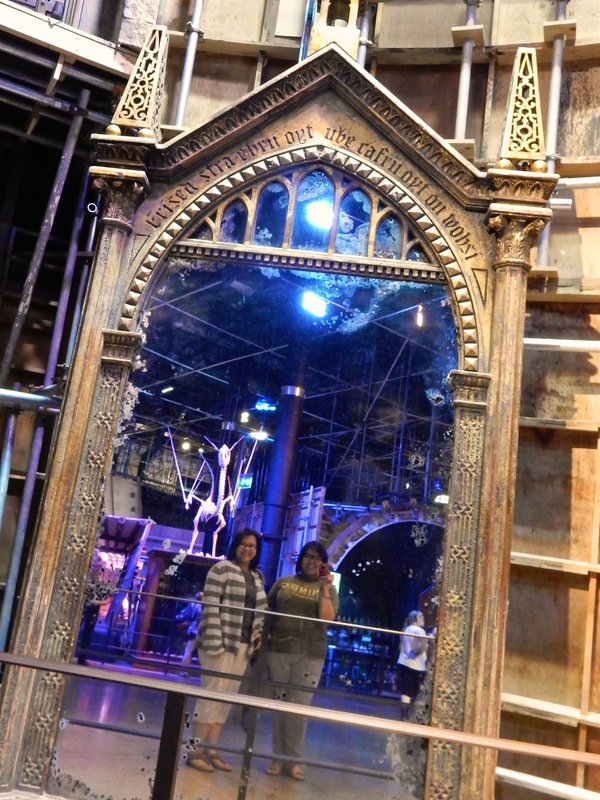 I’d gladly go back to Leavesden again; I’m sure there are more things that I missed and will revisit next time I go! 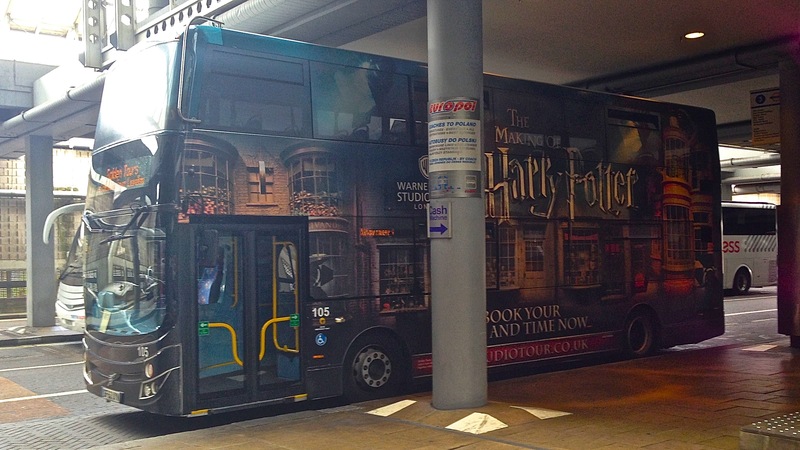 There’s no way any Harry Potter fan ought to miss the opportunity to go. We chose to go with Golden Tours‘ package of return transportation from Victoria Station + entrance to the tour, which made it far more convenient than having to take public transit. And considering Karrie and her family already had to deal with transit issues earlier in the day… I think this was definitely a preferred method of transportation! Coming up next time on the blog… the Centenary of WWI, and my adventure to Downton Abbey. ‘Til next time, folks! I’ll try my utmost not to wait so long to the next post! 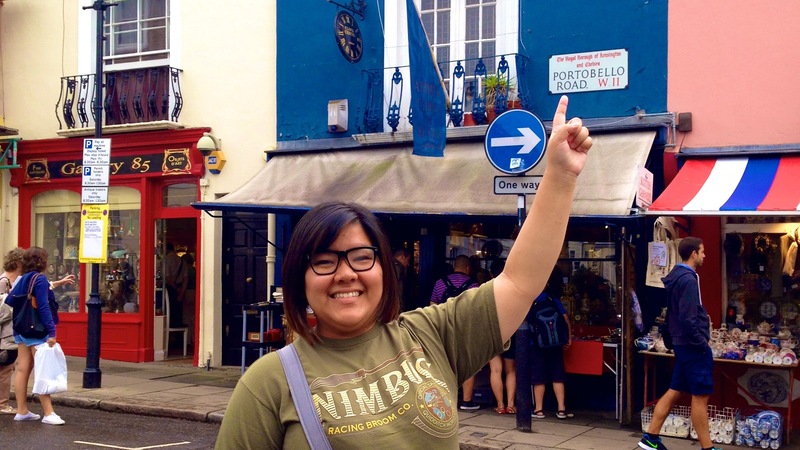 Follow along on my England 2014 Trip! 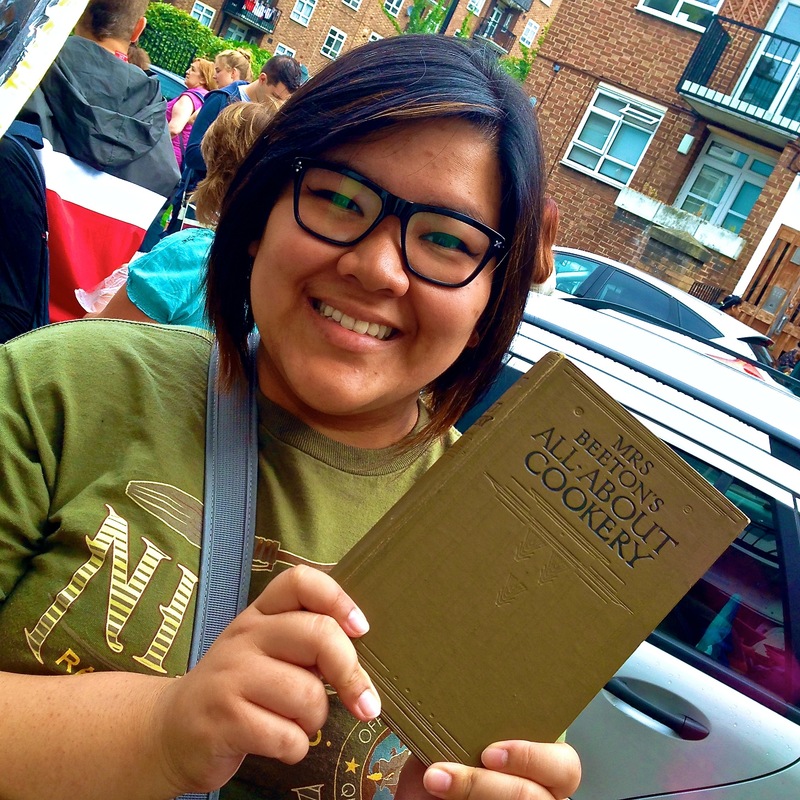 DAY 6: St. Paul’s Cathedral, Leadenhall Market, Duck & Waffle & more! That video is INCREDIBLE!!! Hahaha, I’m so glad you got it! Next time I go (because you know there will be a next time), I’ll have to do it for myself. I typed “Papa Kwongsie” and then proceeded to die laughing. I couldn’t resist. Maybe one day I’ll say it to his face just to see the response. LOVE YOU!